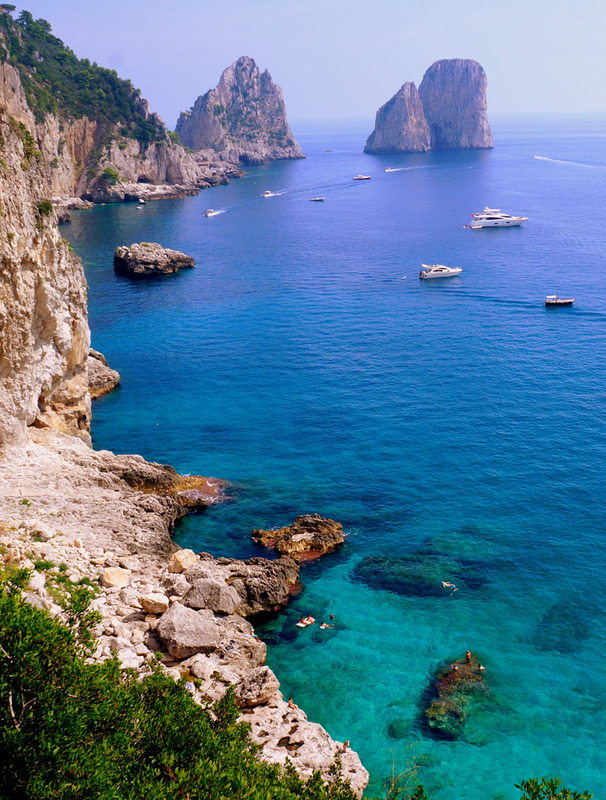 This traveller invited his closest friends to the Isle of Capri in Italy, to celebrate his 50th birthday. The days were very entertained with lunch breaks in a boat with the crew wearing t-shirts printed with the host’s name. The emblem was also displayed on souvenirs as espadrilles, necessaires and keychains presented to the guests. Small gifts of local products were also left in the guest’s rooms, such as pashminas, profumi di Capri, confectionery and Limoncello. Dinners were held in restaurants, closed for the group, each of which with a specific theme and dress code. Musicians and singers were added to making the meals memorable and the last dinner was served in a typical Caprese restaurant under flowering lemon trees. Each dinner with a specific theme.